Michael Weinzettl on what may well turn out to be the best commercial of Super Bowl season, plus some flash-backs. The 52nd Super Bowl is taking place on February 4 in Minneapolis, the final game of the 2017 American Football season will be between the New England Patriots and the Philadelphia Eagles. Millions of TV viewers will be tuning in and, as always, the commercial breaks will be full of multi-million dollar productions with which advertisers will be vying for the consumers' attention. Since Apple's seminal 1984 commercial, which was aired exactly once there has been the myth of how special and extraordinary the Super Bowl spots are. As a result, expectations run high. And even if the commercials featured may not turn out be the best ones of the year, with an estimated cost of about $5 million per 30 seconds, they're at least the most expensive. The reality is another thing and in fact very little of what is featured in these commercial breaks manages to linger on, create a lasting impression. Too high the demands of pleasing as many people as possible, too many cooks spoiling the broth – all factors that affect the actual work shown. If you want proof of this just check out the Cannes winners of each year and marvel at how few of the much hyped Super Bowl ads actually make it past the shortlist. There are of course notable exceptions and in the gallery on the right you can find some examples of Super Bowl spots from years past (the oldest from 1999) that did manage to stand out. This year, however, the most brilliant one of the commercials in connection with the Super Bowl may already have been aired. I'm talking about CBS's 4-minute teaser of the AFC Championship game between the Jacksonville Jaguars and the New England Patriots, starring John Malkovich. We first see the actor phoning his agent, mad at the preposterous script of the monologue he'd supposedly been asked to deliver as an intro to the AFC Championship game. We then see him berating the director of the spot in front of an orchestra that has been assembled for the spot's soundtrack. 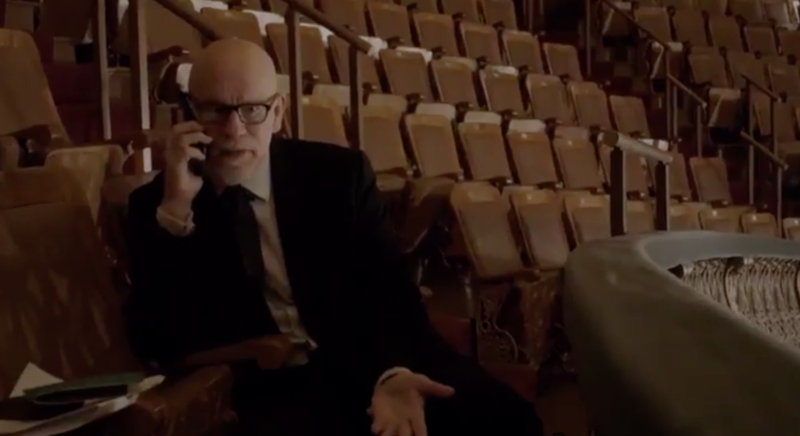 While the musicians run through the score, Malkovich enlightens the director of what he feels the story should be – a dramatic football version of David (the Jacksonville Jaguars) and Goliath (the New England Patriots) battling it out for a shot at the Super Bowl.